I'm going to be busy. I arrive in San Francisco on Saturday around 1 PM. If you're arriving at around the same time, let me know, we can share a cab into the city. Beer. After arriving I plan on finding a very cold Pliny the Elder. Or three. ODTUG Dinner. I'm crashing this one. It's Board members only to my knowledge and until someone says I cannot go (especially if fueled by more than one Pliny the Elder), I'm going. Open World Bridge Run. Not sure if I can make it, but I'm going to try. I'm presenting at 10:15 so it will be a tough decision. 10:30 to 11:30. Thinking Clearly About Performance. Somehow I managed to con Cary Millsap into a duet of sorts. I have him convinced it is the other way around. Either way, it should be fun (I am not nervous!). 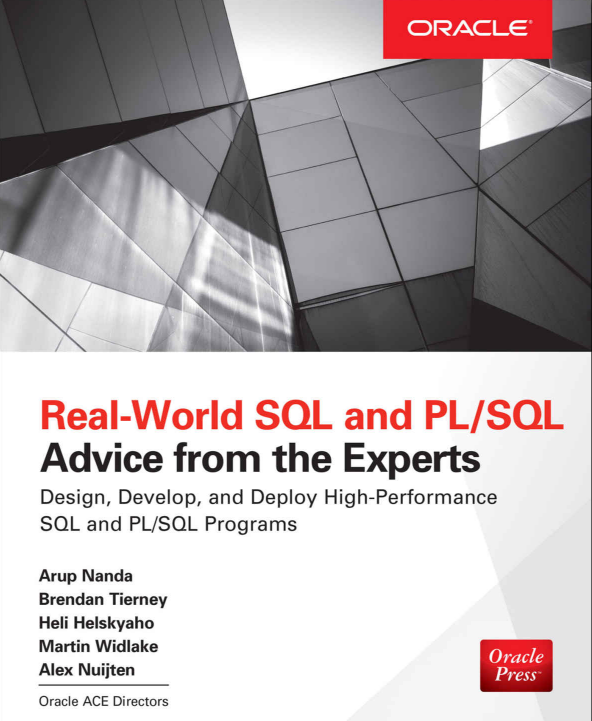 2:15 to 4:30, Software Development in the Oracle Ecosystem, Part I and Part II. I'm moderating the aforementioned Mr. Millsap, Sten Vesterli, Markus Eisele and Jerry Brenner (My first boss was scheduled to speak as well, but he had a last minute change of plans, jerk). Post Oracle ACE Dinner drinks...wherever the night takes me. Oracle OpenWorld - San Francisco Bay Swim - Part II, 7:30 AM. We had almost 20 last year, 33 have signed up (on the page anyway) this year. Come along. 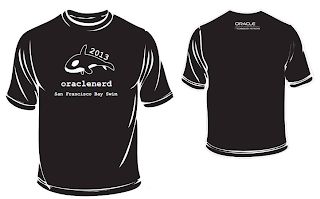 Cool t-shirts too, sponsored by Oracle Technology Network and designed by Lauren Prezby. 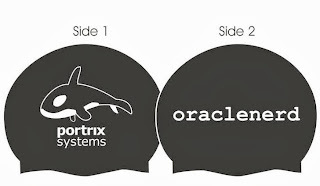 Let's not forget the swim caps! Sponsored by the encouragable Bjoern Rost of The portrix group (he's like me, afraid of capital letters) (designed by Lauren Prezby). 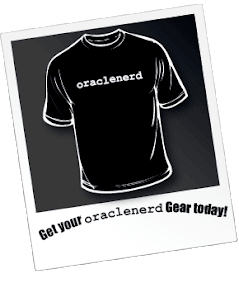 Wear Your ORACLENERD Gear Day, 3 PM to 4:30 PM. We'll be taking a group photo around 4:30 PM. If you can't make it for that, come by when you can and get a picture with me. You know I like that sh...stuff. You don't have a shirt/hat/sticker/random-item? 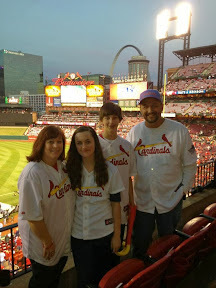 OTN Lounge is giving away one hundred cool red t-shirts (Lauren Prezby, again). This picture is coinciding with the APEX Developer Challenge which goes from 3 - 7:30 that afternoon/evening. I might even give it a go (fueled, hopefully, by Pliny the Elder). Somewhere in there I'll get a chance to breathe. I'll also attend some sessions, hopefully.